A majority of young, and old, women around the world do not get their mammograms consistently enough to effectively prevent breast cancer. Women, especially young women, need to become more familiar with the process of a mammogram and become comfortable with the procedure so it can be done regularly and as needed for your safety. So, the article begs the question, what exactly is a mammogram? A mammogram is an inspection of the breast by a rofessional doctor using x-rays to detect and prevent breast cancer and/or other abnormalities. The whole point to receiving a mammogram is early detection; if breast cancer is detected in an early stage, the chances of survival are much higher. Without getting into anything technical, the basic procedure of a mammogram is this: the breast is placed in a kind of x-ray machine that holds most of the breast and compresses it with two parallel plates. This is done to flatten the tissues in the breast to make the x-ray more accurate and readable. The x-ray is then taken, the breast removed from the machine, and the results analyzed by a medical doctor. 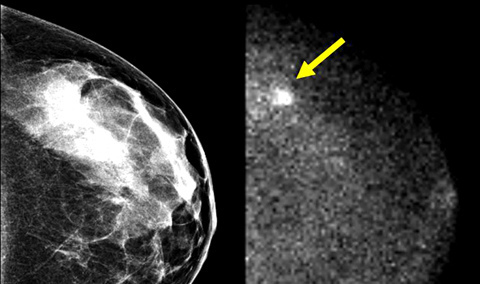 Signs of breast cancer would be either an irregularly shaped mass with jagged edges or a calcification, which is a deposit of the mineral calcium in the breast tissue. There are two different kinds of calcifications however. The first is generally non-cancerous and caused by aging called a macrocalcification. The second is usually found in areas of rapidly dividing cells, which is a high indicator of cancer, and it is called a microcalification. Mammograms are not perfect; they have a false negative result at least 10% of the time due to obscurities in breast tissue that make cancer difficult to identify. However, the odds of early detection of breast cancer are exponentially higher if mammograms are received regularly. Women over the age of 40 should receive a mammogram once every 1-2 years. If there is a history of breast cancer in the family or other reasons to believe that someone is a high risk patient, mammograms should begin at an earlier age and occur more frequently. Speak to your doctor about your personal mammogram schedule.